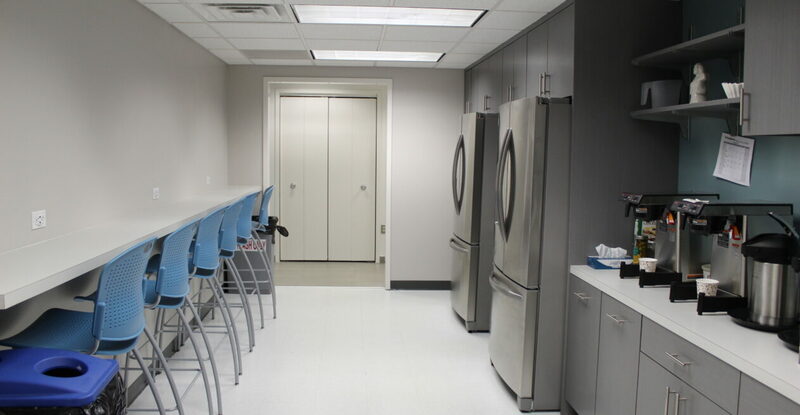 Dewberry extended the footprint of their existing 15,000 square foot space by expanding 3,000 square feet into an adjacent office. 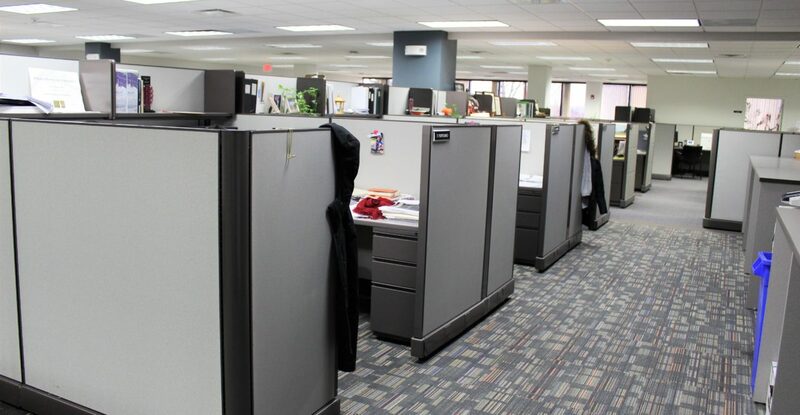 The renovations were constructed up to 90% complete before taking the separation wall down between the new and existing office space. This reduced after hour and overtime work, which kept the project within budget. 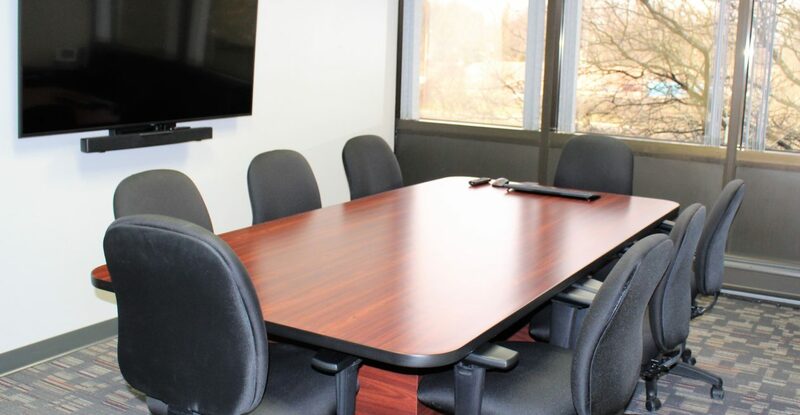 The project also entailed renovations to three existing conference rooms, an expanded pantry with all new cabinetry and finishes throughout. 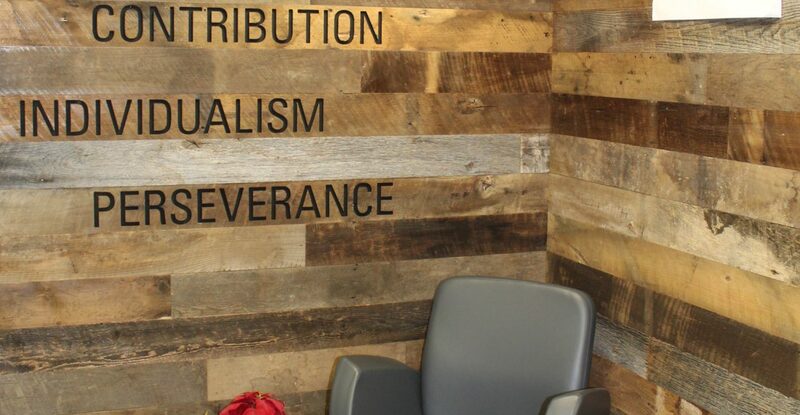 Lastly, we created a feature wall in their reception area, which is unlike other Dewberry locations. 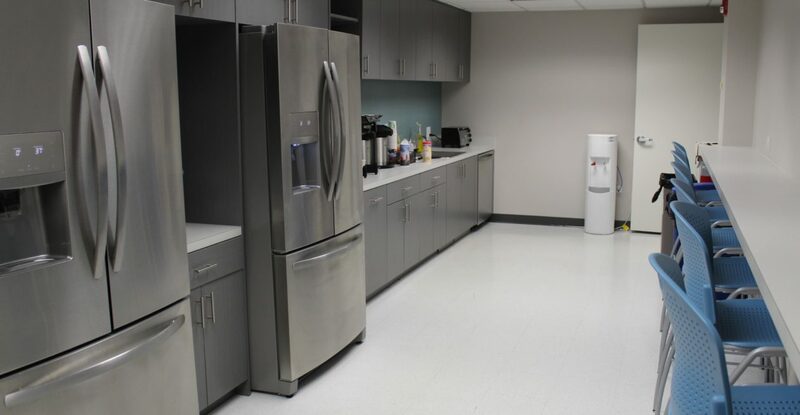 Due to the expansion, a new fire alarm system was warranted and incorporated into the project, which was completed without interruption to the employees.